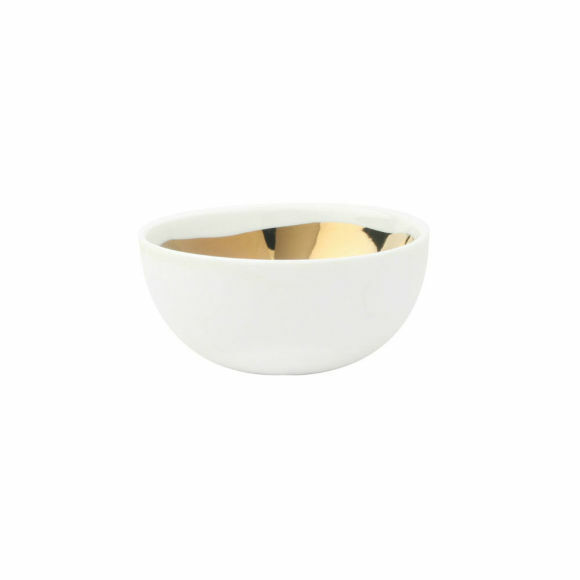 The beautiful 'Dauville' bowl will make a wonderful addition to your dining table bringing some Mediterranean luxe to your home. The interior is adorned with a hand painted gold glaze and the white porcelain exterior has a subtle, textured finish. 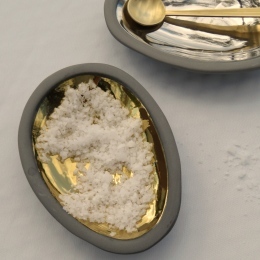 Contemporary in style with an eyecatching design this bowl can be used for nibbles, tapas or as a decorative piece.